A.A. Duckett, Inc. is the mechanical contractor of choice for architects, developers, general contractors and owners. Our long term clients understand the value of A.A. Duckett, Inc.’s involvement from project inception to system commissioning. An in house staff of engineers, estimators, and project managers at A.A. Duckett, Inc. offers an unparalleled level of expertise when assisting in the design phase and installation of mechanical projects. 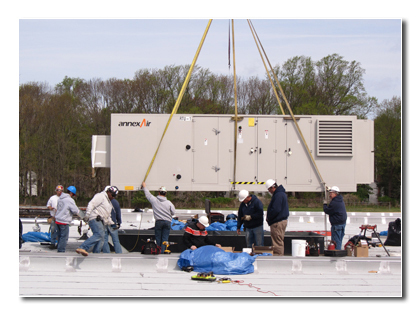 A.A. Duckett, Inc. brings state of the art technology and practical solutions to every project. Our estimators are equipped with Computer Aided Design programs and Microsoft Project Management Software to assist in the planning and execution of a variety of projects.